The peanut gallery is suggesting Flickr may be for sale, as part of Yahoo's efforts to trim down to a few core businesses. I'm hoping its future is bright - there isn't really anything else like Flickr. There are certainly plenty of places to simply host images, but Flickr's communities aren't easily replicated; as good a venue as 500px is, it's much more Tumblr-like, in being a place to present one's work, without discussion or community. Also, if you use(d) some of the older features of Flickr, there's an interesting little hack available: Stig's Flickr Fixr, bringing back notes, the album sidebar, and more. It's installed using Greasemonkey (for Firefox) or Tampermonkey (Chrome et al). 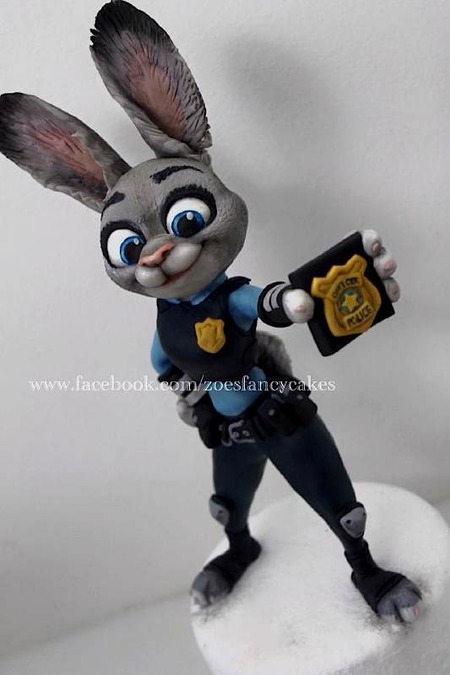 How's this for a fairly amazing Judy Hopps cake? =:D (By Zoe's Fancy Cakes. 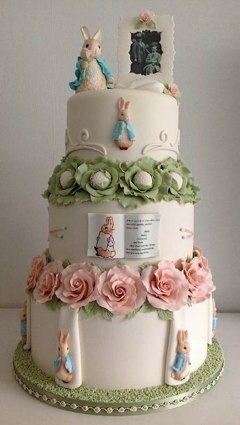 Warning: Facebook) Or, maybe something a little more classical, like this gorgeous Peter Rabbit cake, by Cake Central member peterrabbit? Scientists Slowly Reintroducing Small Group Of Normal, Well-Adjusted Humans Into Society. We can only hope. FLCL is getting a sequel, of two six-episode seasons, somewhere in 2017 or 2018. Saw the recent Peanuts flick, and rather enjoyed it! Blue Sky indeed kept to the spirit of the strip with the writing, and crafted an interesting visual middle ground between the 2D original and a 3D CG world. If you enjoyed the strip, this is worth seeing. iOS game of the week: Dream Machine. At first glance, it recalls the excellent Monument Valley, but it's its own thing entirely, being more of a platformer puzzler. And hey, for 99¢/79p, you really can't go wrong. If you're wanting to play with the bleeding edge of Safari, the WebKit team's just announced Safari Technology Preview, with updates served up every fortnight. Currently, new goodness includes ECMAScript 6, a new JS JIT compiler, and more. (OS X El Capitan only) They do make note of the existing nightlies: "You may already be familiar with the WebKit Nightly, which serves a purpose similar to that of Safari Technology Preview. For most people, we think Safari Technology Preview is a more convenient and stable way to live on recent WebKit changes. Unlike the nightlies, Safari Technology Preview supports the full set of iCloud-based Safari features, including iCloud History and iCloud Tabs. And we’ll use the time between Safari Technology Preview releases to curate and test updates to a point where we think developers will find it practical to use as their primary browser." 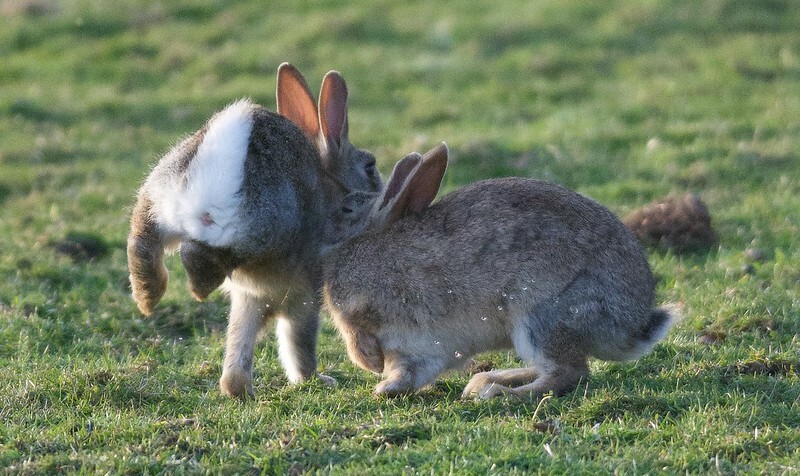 The buns, I'm delighted to report, remain thriving, and as feisty as ever, especially with the wannabe suitors of the does all but begging for consent, persistently following, sometimes trailing them, sometimes oh so subtly edging up to them. The more forthright bucks, however, take to the delights of spraying, which, judging by their immediate and vigorous efforts to perform emergency grooming, they enjoy about as much as one might expect. So, take one such buck, and add sufficient derp to land on their aim of desire..
he peanut gallery is suggesting Flickr may be for sale, as part of Yahoo's efforts to trim down to a few core businesses. Interesting. I wonder if there's any chance of Flickr being spun out as its own independent company again? That's how they started, after all. I'm sure the old guard – to the extent that they're still around – would appreciate it, too. Re: alternatives, does Ipernity still exist? That was billed as Flickr-the-way-it-used-to-be back in the day. Heh, wouldn't that be something. Ah, cute rabbits! There's a reminder of how wet and messy, and even violent, reproduction can be. 'Our' backyard rabbit has returned to her watching place among the braken and shrubbery. I think this means there may be a form in the dog yard and I hope The Huntress doesn't dig it up as in the past. "Scientists Slowly Reintroducing Small Group Of Normal, Well-Adjusted Humans Into Society. We can only hope. On the topic of new browsers, have you tried Vivaldi? From the makers of Opera.